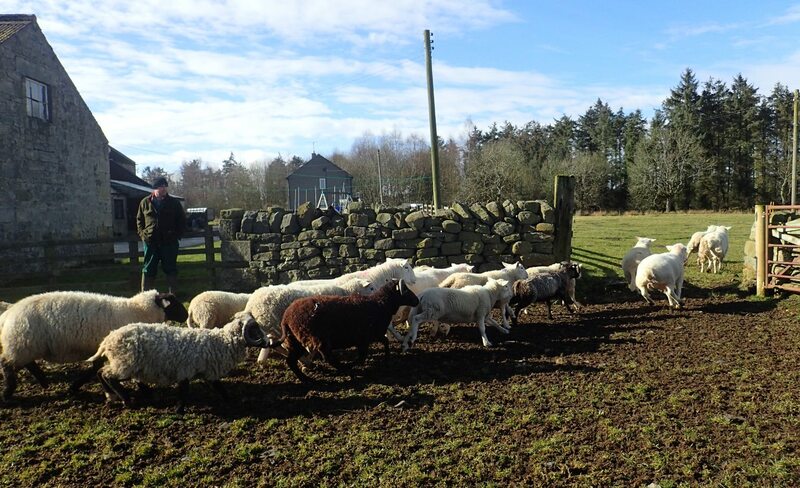 Checking the livestock sometimes provides a wonderful opportunity to get out and enjoy the countryside, especially on a beautiful spring afternoon. The ponies and sheep were easily found on Prestwick Carr on Sunday, meaning there was more time to enjoy the wildlife that could be spotted. It wasn’t the busiest of days but a butterfly passed by at speed, too quick for a positive identification, and a lapwing flew over the site but in the distance. A better view was to be had of a female wheatear, recently returned from Africa and on route to the uplands where it will breed. Overhead skylarks gave a wonderful musical accompaniment to the trip and with the sun warm and the air relatively still it did seem like spring was finally here. Stephen spent two days this week training some staff and volunteers working on Northumberland Wildlife Trust’s Magnificent Meadows Project. This HLF funded project is managing some important grassland areas in south Northumberland, particularly those on the Whin Sill and other ‘calaminarian’ sites along the River South Tyne. Some of these sites are being grazed by Flexigraze. 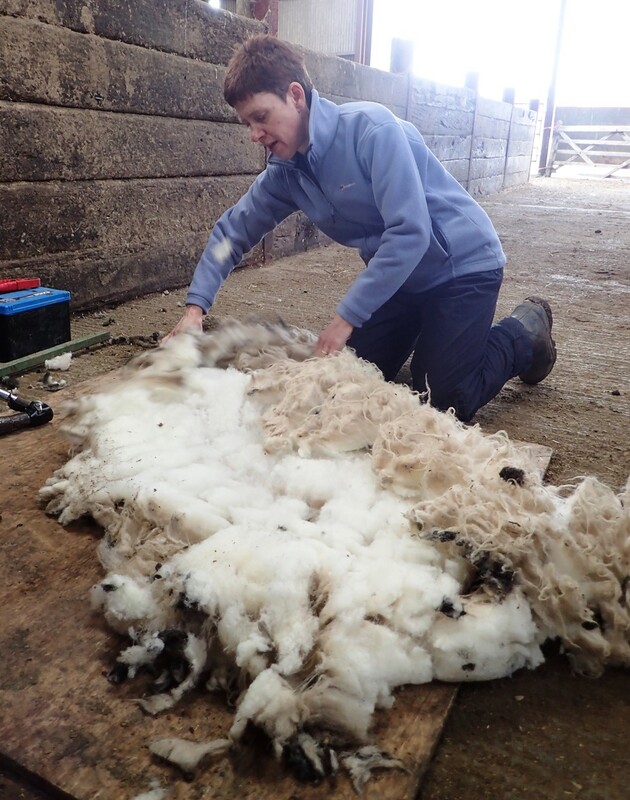 The day was used to introduce those attending to handling sheep, shearing them and general sheep management. 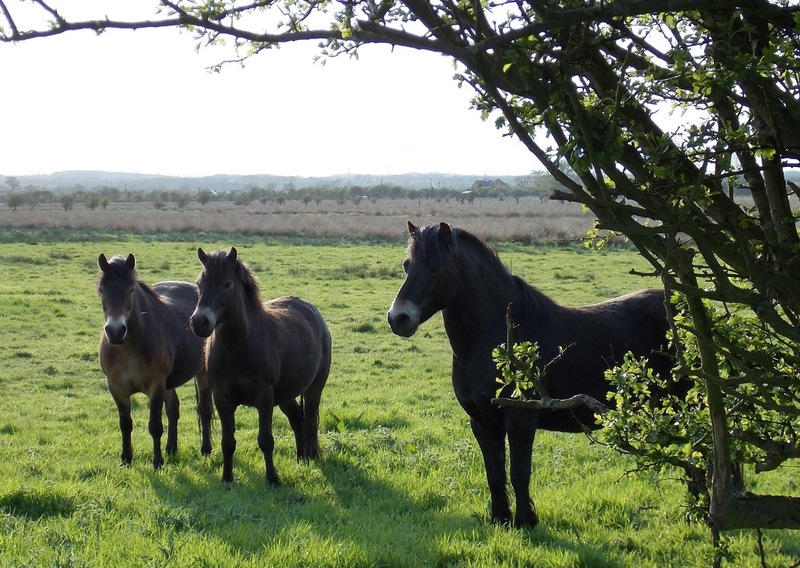 The two Exmoor ponies on the site were also brought in to consider the different needs of these larger animals. There were plenty of chances for hand’s on as well as more theoretical aspects of grazing. 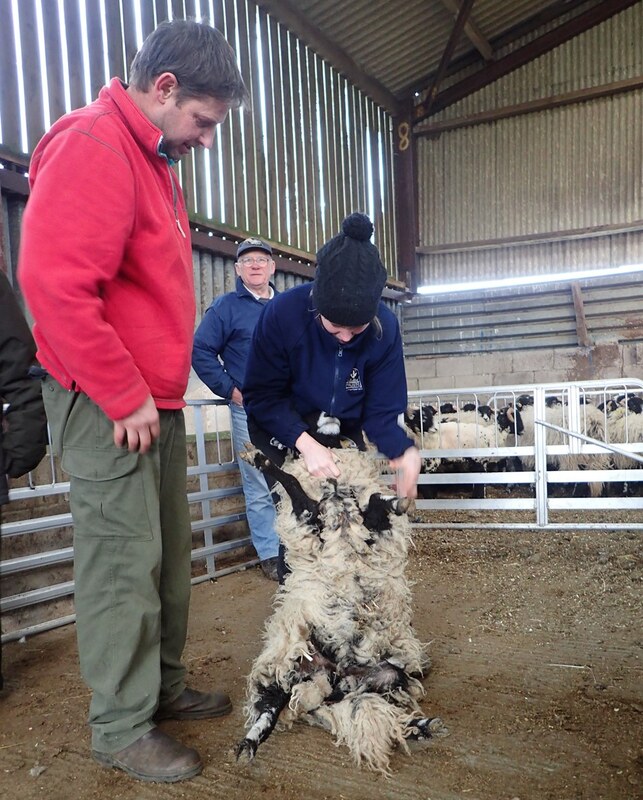 The course included getting to grips with the terminology used in sheep farming, all the names used for different ages and stages that confuse most non farming folk. Jess had plenty to do gathering and helping out but also enjoyed the company when not on duty! Livestock checking continues through the holiday period. Today’s visit to Prestwick Carr was certainly a fruitful one from a wildlife perspective and a successful one in ascertaining all the livestock was OK. There are 4 new Exmoor Ponies although it was the resident 6 that had a good race around a new field as they were let out to wander further afield. The wildlife sightings are certainly worth a mention. 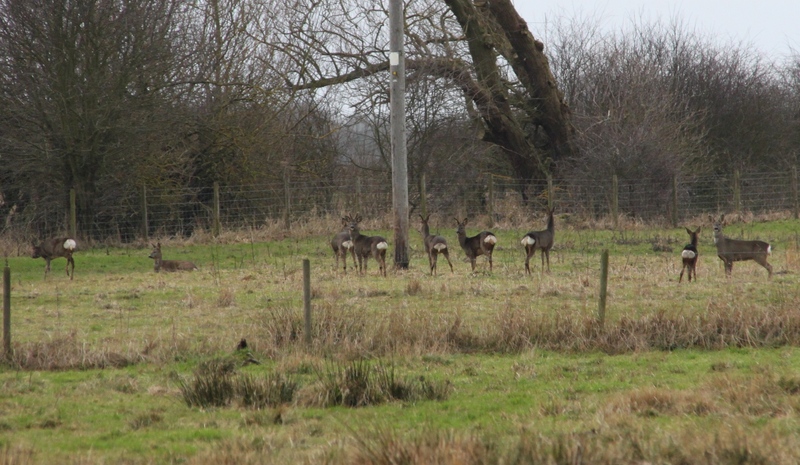 There was a herd of 9 roe deer gently grazing and about 12 snipe flew up from the rushy sward. Redwings and starlings put in fly-pasts and a buzzard circled overhead. 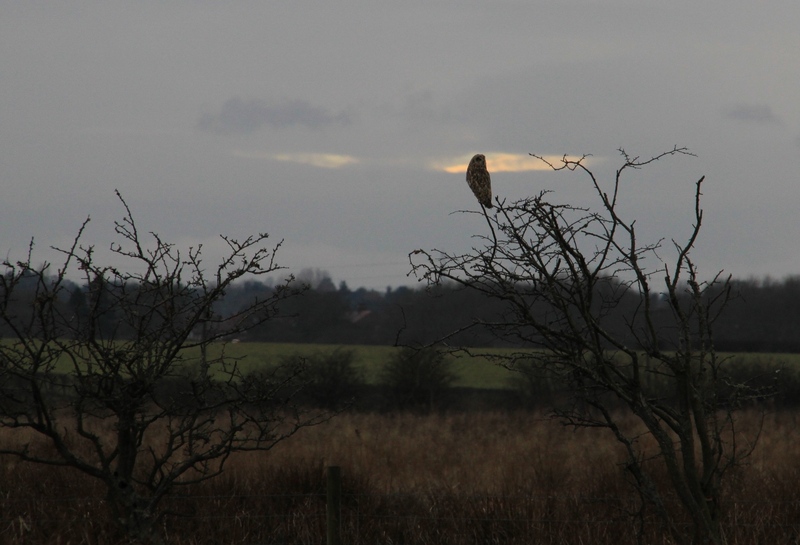 It was, however, a short-eared owl that put in the most impressive show, flying up from close by then circling before settling in a hawthorn along one of the field boundaries. 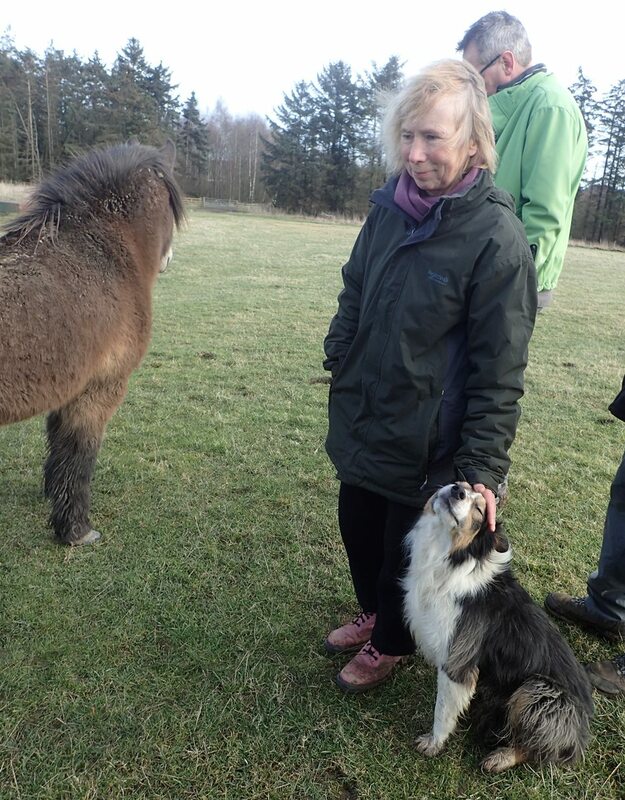 A quick check of the sheep and ponies at Prestwick Carr yesterday evening confirmed that all was well, although one sheep played dead to make us get almost up to it before it jumped up and ran off with its field-mates. Five lapwings put on a fine display over the site, wheeling around and calling overhead while a skylark sang from on high. A kestrel hovered over the site too and a few mallard lifted as we crossed a field to count the sheep.